NAICO offers competitively priced contract and commercial surety products for the emerging and established contractor. Our surety program is U.S. Treasury listed with flexible merit, and the availability of standard and substandard rates. Licensed to write surety in 47 states and the District of Columbia, NAICO provides incentive to our agency partners through profit sharing and competitive commissions. NAICO’s standard surety program is designed for general contractors and major trade sub-contractors with standard contract terms. Bond limits are available up to $4,000,000 per single job with a $10,000,000 aggregate. Qualified contractors may be considered for higher limits if needed. 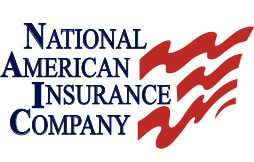 NAICO’s commercial surety program offers judicial bonds, license and permit, and miscellaneous bonds. NAICO’s EZ Bond program is a basic surety platform designed for contractors with infrequent surety needs and is an excellent option for smaller contractors who need to obtain Performance and Labor & Materials Payment Bonds quickly. With an average turnaround time of 24 hours, and a simple application process, our EZ Bond program offers contractors a fast, affordable alternative to the bonding process.